The new BR-X1 RS17 can be considered an extreme variation of Bell & Ross’ iconic watch, the BR03. 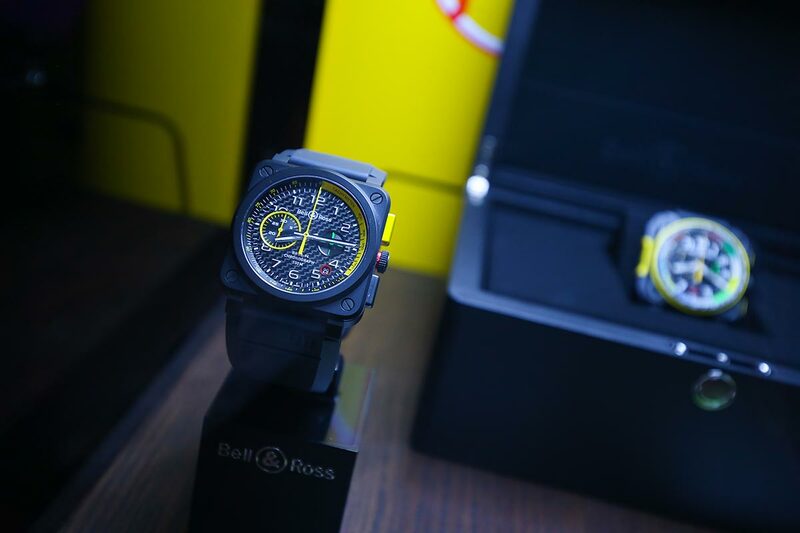 As the Official Watch Partner of the Renault Sport Formula One™ Team, Bell & Ross continues to celebrate this partnership at the Formula 1 Heineken Chinese Grand Prix in Shanghai with a new limited edition collection, the BR RS17. 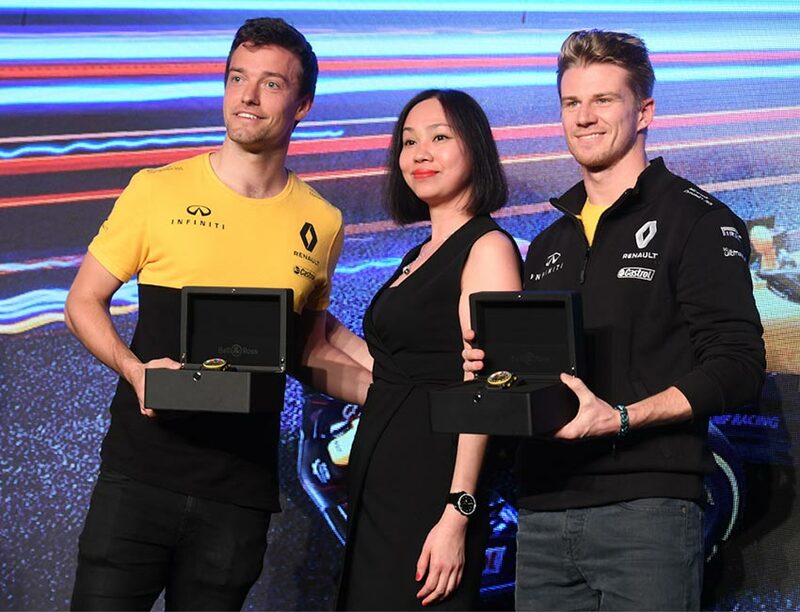 During this event, Ms. Amy Chu, Bell & Ross’ General Manager (North Asia), officially presented the tailored made BR-X1 RS17 Skeleton Chronograph to the two Renault Sport Formula One™ pilots, Jolyon Palmer and Nico Hulkenberg. Both pieces are engraved with their pilot number and name, wishing them great success in the upcoming race. In 2004, Formula 1 Heineken Chinese Grand Prix settled in Shanghai International Circuit, introducing the FIA Formula 1 World Championship into China. It has become one of Asia’s most influential events after 12 years of development. 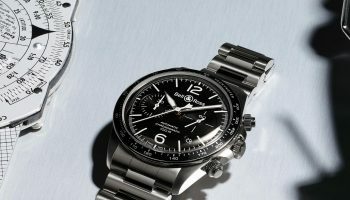 Over the years, Bell & Ross has become a leading reference in the world of aviation timepieces. 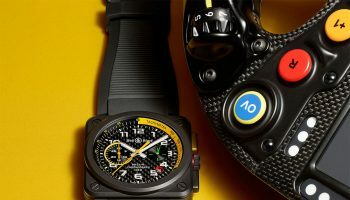 In February 2016, in its permanent quest for new universes to explore, the brand made its first foray into the racetracks by becoming the official watch partner of Renault Sport Formula One Team. In 2017, Bell & Ross is strengthening its partnership with Renault for the second season in a row and releasing a new collection of high-performance chronographs honoring this exciting world of the extreme: the BR RS17. The design and color codes of these high-tech timepieces are directly inspired by Formula 1, and more precisely by the steering wheel of the new Renault R.S. 17 F1 racecar. The collection brings together the latest technological advances. 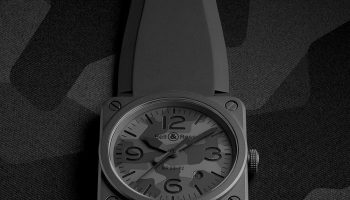 The new BR-X1 RS17 can be considered an extreme variation of Bell & Ross’ iconic watch, the BR03. It includes all the elements that are essential to chronograph watches designed for race drivers. The case is made of Carbone Forgé®. Highly sophisticated, its skeleton mechanism allows its gears to be admired through the grey-tinted sapphire crystal. 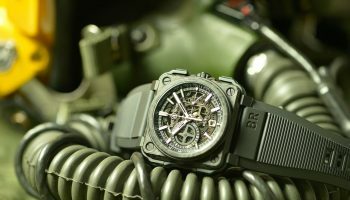 The “rocker” type push buttons activate the chronograph function with great accuracy. They are made from high-tech ceramic and capped with yellow rubber for an improved grip. The bezel features a tachymeter scale designed for calculating racing speeds. Lastly, the dial flange is split into several hour segments, each of which has a corresponding color. This color segmentation makes the measured time easier to read. The watch hands are yellow, the date is red, the small second hand is green and the hour hand, white. The latter is coated in SuperLuminova that guarantees excellent legibility, both day and night. 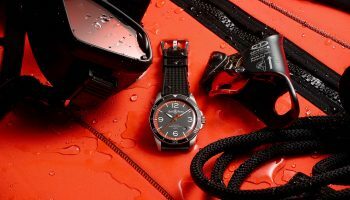 The strap is also made from innovative materials, rubber paired with carbon fiber for a very sporty look. The partnership with Renault Sport Formula One Team is a source of inspiration and continuous motivation. Bell & Ross’ CEO & co-founder, Carlos-A. 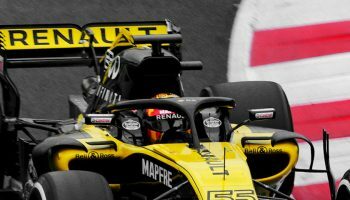 Rosillo comments: “Bell & Ross and Renault Sport Formula One Team have the common goal of pushing the limits of mechanics and it is well represented in this limited edition. This is extremely important for our brand this year and this partnership symbolizes what can be achieved when precision and speed come together.” Ms. Amy Chu, Bell & Ross’ General Manager (North Asia) also expressed her best wishes to Jolyon Palmer and Nico Hulkenberg: “Bell & Ross has always been committed to creating precious timepieces and showing unique watch-making expertise, while satisfying the strictest professional requirements. I believe these two outstanding pilots will achieve great results in the race with the BR-X1 RS17 Skeleton Chronograph.” Designed for racing drivers, the new Bell & Ross RS17 collection is made up of truly exceptional watches. Their design, inspired by Formula 1, brings together the latest technological advances and the most innovative materials used in the racing world. These extraordinary timepieces not only display great originality, but push for excellence and accuracy at the highest levels.